The Tower of London was built in steps over the course of two hundred years. From William the Conqueror's White Tower built in 1078, to the castle's completion in 1285 by King Edward. The Tower of London consists of two concentric walls enveloping the main courtyard where the original White Tower is located. Surrounding the outer wall, is a moat which used water from the nearby river Thames. The Tower served for military purposes throughout the High and Late Middle Ages. It was first besieged in 1191 by Prince John, who vas victorious as the castle surrendered three days later due to provision shortage. However, The Tower could last for as long as the provisions did. Besides being a stronghold and a palace for the royalty, the Tower also served as a jail. The dungeons were well-known for containing many torture devices that were often used to extract confessions. 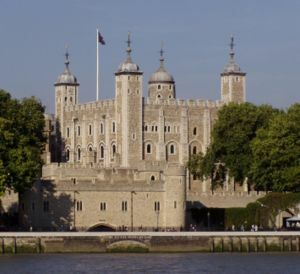 The Tower of London has also served as a place of execution, a treasury, an armoury, a zoo, a public records office, an observatory, and even the home of the Crown Jewels of the United Kingdom.